The Multivision 500 is an internal scandoubler for the A500 and A1000. 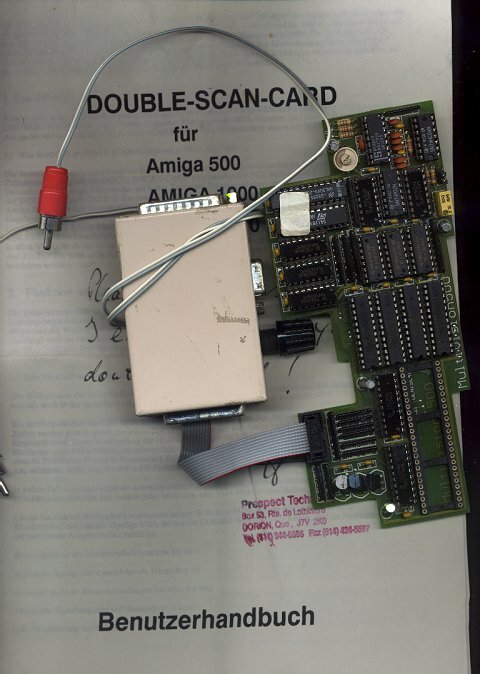 It works by removing the denise chip from its socket, placing it onto the card, then plugging the card into the denise socket. The external adaptor just allows you to physically attach an SVGA monitor and also has an RGB pass-thru.